"Impressive. Most impressive." This Star Wars Posters 16 oz. 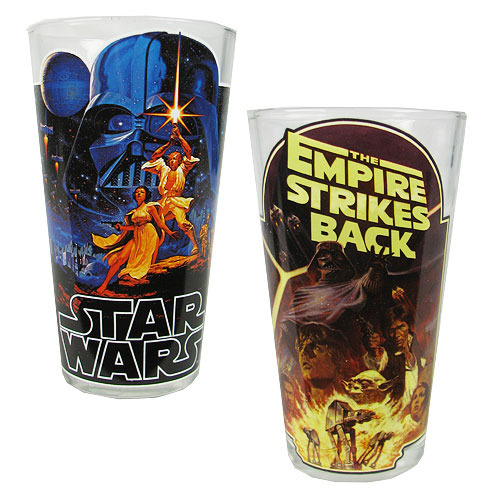 Pint Glass 2-Pack features images of the posters from Star Wars: Episode IV - A New Hope and Star Wars: Episode V - The Empire Strikes Back. Glasses come in a full-color open-window gift-box package and hold up to 16 ounces of liquid each. Hand wash only. Not dishwasher safe. Do not microwave. Ages 12 and up.